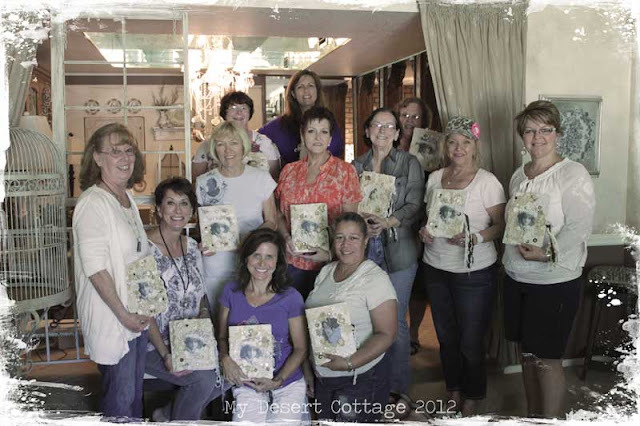 **My Desert Cottage**: It's Class time again! 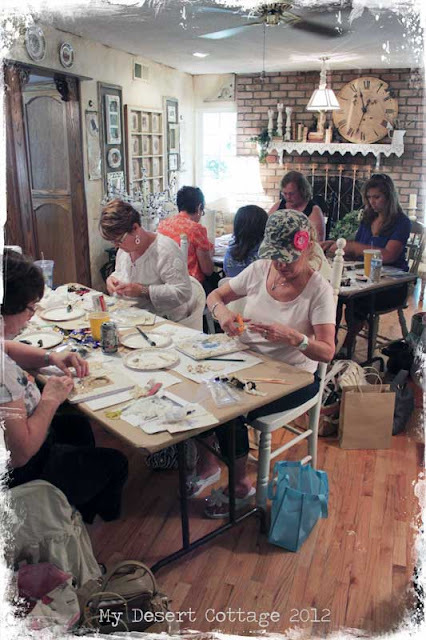 A couple of months ago a taught my lace journal class to an awesome bunch of women. We had so much fun and they were so so encouraging that they convinced to teach some more classes here at my home in Scottsdale Az. Back in 2010 (has been that long ago already?) 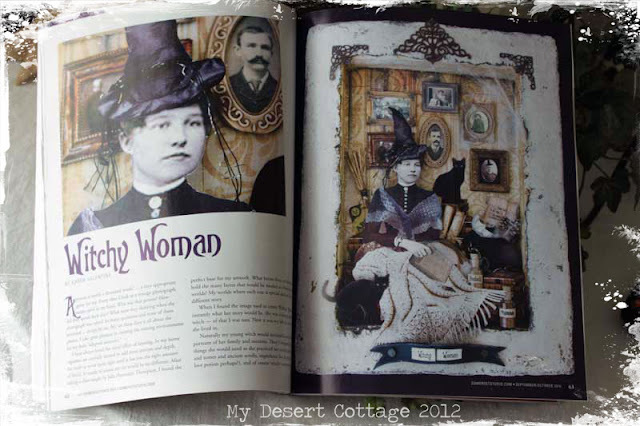 I was so thrilled to have my first piece published in the Sept/Oct issue of Somerset Studio. The class will be held on Sept. 22 right here in my home again. I have already had several women sign up (thank you) but wanted to open it up to anyone else who would like to come. and you will need a basic crafting tool kit plus a few other things that you probably already have. Please email me at karenvalentinedesignstudio@gmail.com if you are interested in taking the class and I will send you all the info. What a fun project!! Just in time for Halloween! Sounds like fun and what a great project! Bravo!! !Good company,beautiful artwork and very difficult! !It seems so simple, but when I try to do it, I understood that it is so difficult!! Unfortunately, you are so far away from us,(for lessons...). Kisses from Greece. Oh to have been there my friend. I love gatherings like this. I used to teach painting classes in my home years ago and got very attached to 'my' ladies. Karen, I always get tickled when I open up a magazine and see you have an article in it showing your creativity! Yup.. that's me, just about to grab the poor person standing next to me in magazine section... "I know her.. she's a friend of mine!!" Your classes sound like so much fun and I know the ladies have a fabulous day with you, learning lots! Wish I could be a "Witchy Woman"... Well, really I already am... Hee Hee looks like a lot of fun. I see Sherry B & Earleen in that photo that I know... I know everyone will have fun. HUGS! I wish I lived closer, I'd come Karen. My Stampin' Up demonstrator is going to do a small book in a similar fashion. Have fun with your class. The journal is beautiful..You do such nice stuff!! WOW this is a fabulous project, congrats on getting it published. I just love the look of your blog and all the wonderful things to look at. Vintage is awesome! Man I wish I lived closer because this would be a dream come true for me. Not only to take a class with you, but to meet you in person and see your beautiful home, that would be heaven! Whoever is able to come is very lucky and I hope they know there are lots of us who are jealous! Have a wonderful class dear Karen and thanks for inspiring us here everyday! Oh, how I wish I were closer to I could take the class! Love your beautiful work! Hi! What part of town do you live? This most certainly looks fun! Love the new blog look and absolutely fantastic header! This looks so fun... wish I was closer. I wish I lived closer to Scottsdale! Sounds lovely, Karen!! Wish I could join in the fun!! Hope you have a wonderful weekend! Thanks for my button!! oh Karen How Fun! Wish I lived close by for a class or two! I know you are going to have another great class, as you do not disappoint. Have fun! Wish I could be there, but will be in PA with family! Hi Karen, This is my first visit to your site, it is so beautiful! I came across you through Cottage Dreams and that was my first visit there too! I am currently on a break from my site, as we are just getting moved into a new home (not as young as I used to be) and a new craft room studio to create...although it is great fun, it is also great work. I hope that you will visit my little site and I hope to visit you regularly! Sandie sent me over to your lovely blog. I am her new friend and swap partner at Handmade U. I can't wait to meet this delightful lady! We are just going to have a wonderful time & I will take her under my wing & lavish her with her 'red' and trust it will be 'red' and very vintage loveliness. Her box is just to die for. I might not show up....just so I can keep it myself!! I was terrified I didn't have anything red in my studio....and then just went to town....my 15 year old son had a ball with me tearing up the place! I'm a new follower and can't wait to visit more often. Looks like everyone had great fun in your Lace Journal class! How lucky to live near you. 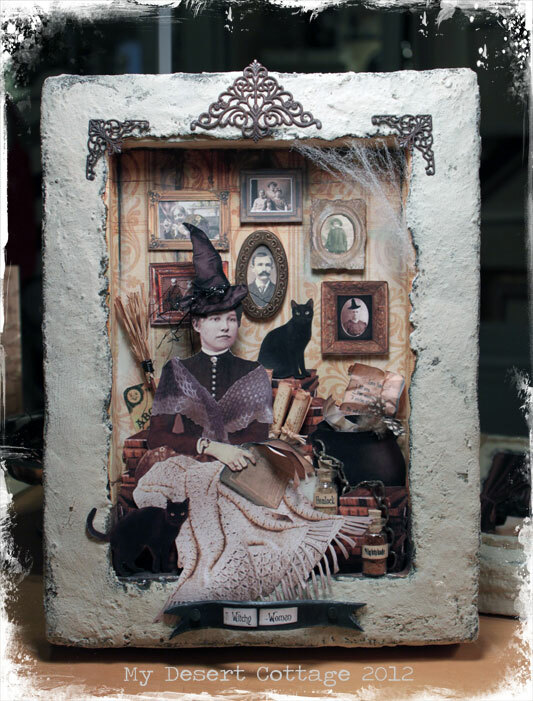 What a beautiful collage you had published in Somerset Studio! It is brilliant and so well arranged! What an amazing response you have had from women wanting to join in the class. You could teach this one over and over! !